Attorney John Huisman has joined attorney Martin Pierce to form a new law practice, Pierce & Huisman, PLLC. Pierce & Huisman will focus its practice on estate planning, elder law, wills and trusts, probate, conservatorship, special needs trusts, business succession planning, business transactions, entrepreneur law, start-ups, nonprofit and tax-exempt organizations, employee benefits and retirement plans and tax law. Pierce has practiced both in larger law firms and in a solo practice in East Tennessee and North Georgia for more than 37 years. A member of the National Academy of Elder Law Attorneys and a certified estate planning specialist, Pierce is licensed in Tennessee and Georgia and has been named in The Best Lawyers in America, as a Mid-South Super Lawyer and as an AVVO rated “Top Lawyer.” In addition, he has earned Martindale-Hubbell’s “AV Preeminent” rating. Pierce has served as president of the Chattanooga Estate Planning Council and the Chattanooga Tax Practitioners. He has also been involved in the local community over the years, having co-founded several local nonprofit organizations and ministries, including First Things First. Pierce has served on the boards of many nonprofits, including the Chattanooga Christian School, Chattanooga Resource Foundation, CHOICES, Relevant Hope, Bethel Bible Village, Lighthouse Counseling Center, the IMPACT School at Silverdale Baptist Academy, the Chattanooga Optimist Club and Paraclyte Counseling Resources. Pierce currently serves as a member of the LifeLine board of directors. A certified and charter member of Kingdom Advisors and a member of the Christian Legal Society, he also currently serves as deacon at Harvest Bible Chapel Chattanooga. Huisman has spent his 14-year career practicing in the areas of business transactions, entrepreneur law, litigation, workers’ compensation, probate, elder law and estate planning. After over nine years of practicing primarily litigation, Huisman began focusing on helping entrepreneurs and small- and medium-sized businesses with business formations, structuring and transactions. Most recently, Huisman spent more than a year as vice president and general counsel of a local import and distribution business. Huisman is licensed to practice law in Tennessee and Georgia and is a member of the Christian Legal Society. He currently serves on the board of directors for Choices Pregnancy Resource Center. Huisman has also served as volunteer with CO.LAB, UTC Veterans Entrepreneurship Program and Covenant College Seed Project. He has also served as a ruling elder of Grace Presbyterian Church of Lookout Mountain. Pierce & Huisman is located at 4513 Hixson Pike. Email Pierce at martin@piercehuismanlaw.com and Huisman at john@piercehuismanlaw.com. 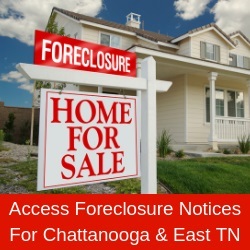 Call either attorney at 423 648-4303. More at www.PierceHuismanLaw.com.